Last week I did a quick trip to Barcelona for the FSF-Europe Free Software Workshop, and got a chance to see the city a bit. There was good energy and good attendance at the conference, with some old friends and major thought leaders in free software, and my talk on software patents and the Supreme Court was well received. It was really cheering to be with a large group of really smart, really nice people working to advance the cause of free and open source software. 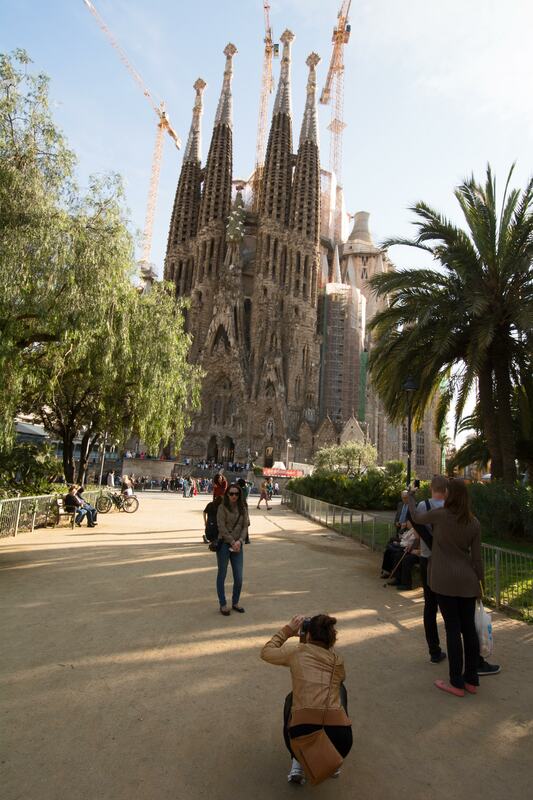 We took a tour of the Sagrada Familia, the famous cathedral designed by Anton Gaudi and still a work in progress 122 years after it was started. It’s a strange building, half modern and half gothic, and massive. 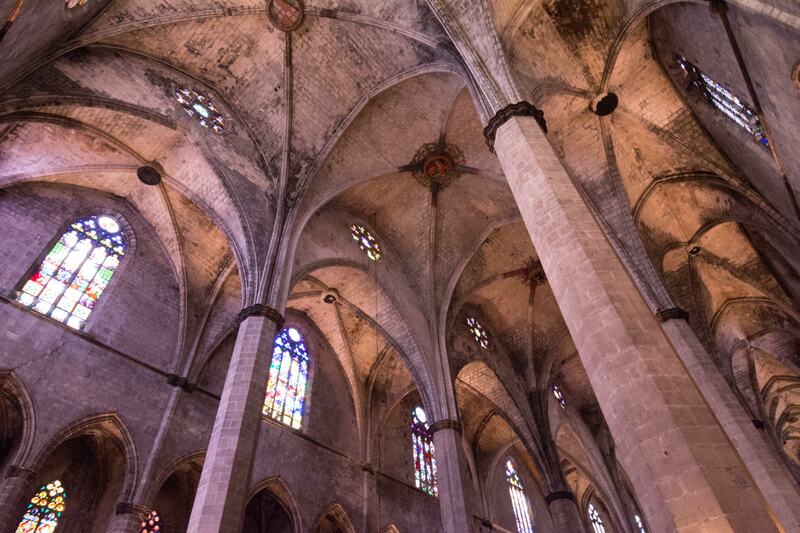 As with the great gothic cathedrals, it overwhelms the senses – it’s impossible to take it all in at once. Our tour guide took us inside late in the day, as the light was changing quickly, and showed how the windows were designed to manipulate the light. 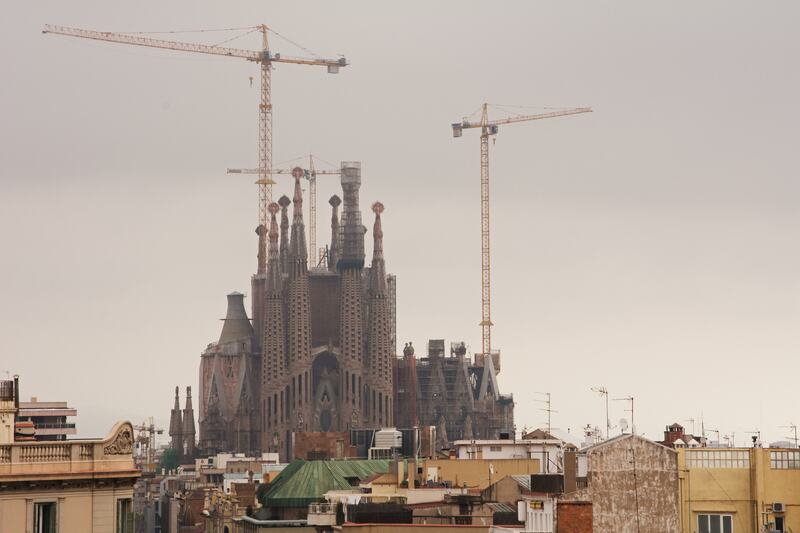 The guide made it clear that the work is both source of controversy and of enormous pride for the Barcelonans. I can’t say I liked it, exactly, but I found it wildly ambitious, bizarre, and intriguing. After the conference, starting Saturday morning, I shifted from work mode to super-tourist mode, and spent about 14 hours exploring the city. At first I thought it seemed a bit like a cross between Paris and Florence, but in the end I found it distinctive, just itself. It has grand boulevards with trees and fashionable shops, warrens of narrow medieval streets, and large parks. There are a couple of distinguished gothic cathedrals, some excellent art museums, and a modern (with TVs!) and efficient modern metro. It was easy to figure out how to get a ticket and get going in the right direction, and I never waited more than three minutes for a train. Barcelona was energized and energizing. It seemed very cosmopolitan and sophisticated. The Catalans have their own language, Catalan, which seemed not too different from Spanish. 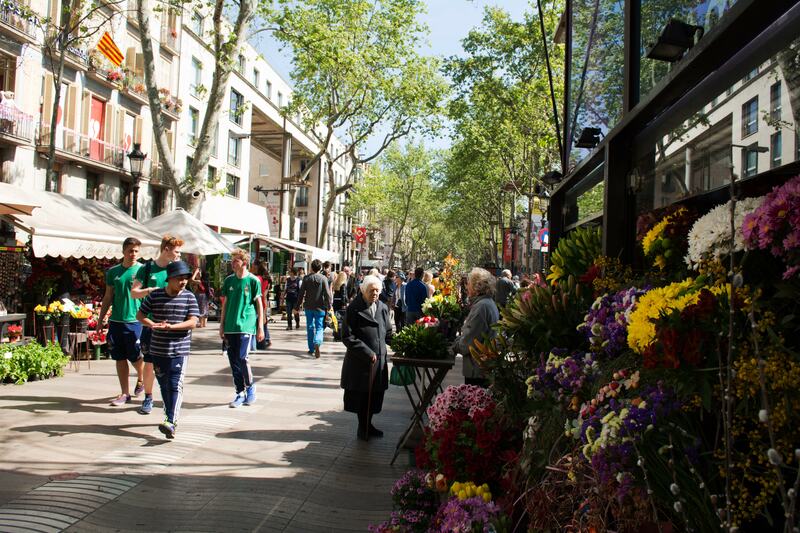 Like people of other small European language groups, Barcelonans are more likely to need a second or third language. I found that the service people all spoke adequate-to-excellent English. In fact, using advanced Yankee detection radar, they sometimes spoke to me in English before I even opened my mouthand so I didn’t get to use my still-a-work-in-progress Spanish very much. Since the Barcelonans are so proud of Gaudi and the school of modernisme (which struck me as a species of art nouvea), I decided to check out another well-known Gaudi building — the Pedrero, an apartment building. Unfortunately the façade was covered up for renovation, but it was worth seeing the roof and a large apartment. The roof had mysterious sculptural objects with undulating surfaces, bulges, and points. I have no idea what they mean, but somehow in the context of city rooftops they work. The apartment was remarkably spacious, and well-furnished and decorated in the period. Gaudi was a visionary and a maverick, unwilling to accept existing conventions and aesthetic categories, like our Frank Lloyd Wright. 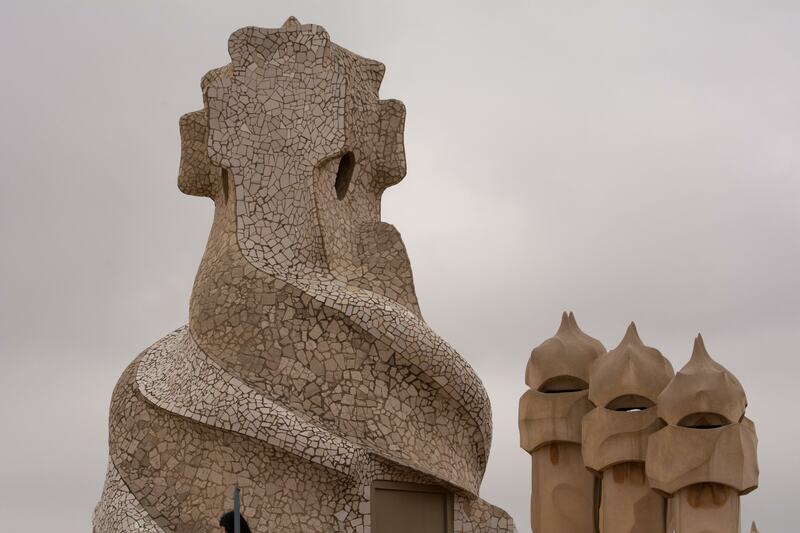 But Gaudi’s aesthetic is odder – whimsical in places, but also suggesting memories of nightmares. It’s amazing that he found funding in the first place, and that he also found lasting fame. The local obsession with Guadi is another sign that Castilians are different in an interesting way. 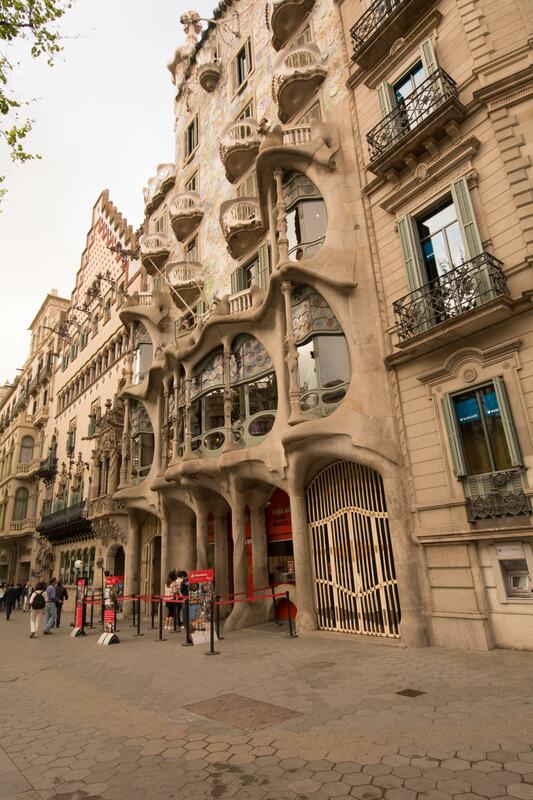 After looking at some other modernist buildings, including Casa Battlo, I took a longish walk south which included La Rambla, the famous pedestrians-only boulevard, and through the gothic quarter to the Picasso museum. It doesn’t have the world’s most distinguished Picassos, but for Picasso fans it’s satisfying – particularly some fine works from the blue period. There was also an interesting temporary exhibition on Picasso’s influence on contemporary art. After more explorations in the old quarter, late in the afternoon I made my way across town to the Juan Miro museum. I came in with the impression that Miro was overrated – an artist who’d taken a few charming ideas, mined them out, and kept on digging. The museum showed that he had more range than I’d realized, and more willingness to experiment, assimilate new ideas, and grow. I particularly liked his found-object sculptures. The temporary exhibit included some interesting conceptual works, including one that showed, side by side, a three-foot-high pile of dirt and a three-foot-high pile of thick paint. On the flight back on Sunday, I had a good block of reading time, and finally finished The Odyssey, in the Robert Fagles translation. I was sort of looking towards the suitors of Penelope getting their comeuppance, but even so the violence was so extreme it was shocking. Homer’s world was definitely different from ours. Were the suitors really so bad as to deserve butchering? But there were also surprisingly modern descriptions of affection and love. When Penelope finally realized that Odysseus was actually home, after twenty years’ absence, and husband and wife were united, it had the emotional resonance of Shakespeare’s greatest lovers. It made me eager to get home.